Ecuador was the country with the most wins at the 4th annual World Travel Awards’ South America edition on September 9, 2017. The country was nominated in 26 categories and was awarded a record-breaking 14 prizes, making it the South American country with the most awards ever. The WTAs are known as the “Oscars of Tourism” and were established in 1993 to acknowledge, reward and celebrate excellence across all key sectors of the travel, tourism and hospitality industries. Today, the brand is recognized globally as the hallmark of industry excellence. Ecuador will go on to compete in the World Travel Awards Global edition, which will take place in Vietnam on December 10, 2017. For the past four years, Ecuador has won the “World’s Leading Green Destination 2016″ award. Why study at UIDE in Ecuador? Ecuador is one of the world’s only megadiverse countries, rich in cultural, geographic and biological diversity. Four main regions: the Pacific coast; Andean highlands; Amazon jungles; and the Galapagos Islands. Quito, Ecuador’s capital, is a bustling modern city located in the heart of the Andes just north of the equator. Quito is known as the city of “eternal spring,” and at an altitude of 2,850 meters (9,350 feet), it is the highest official capital city in the world. 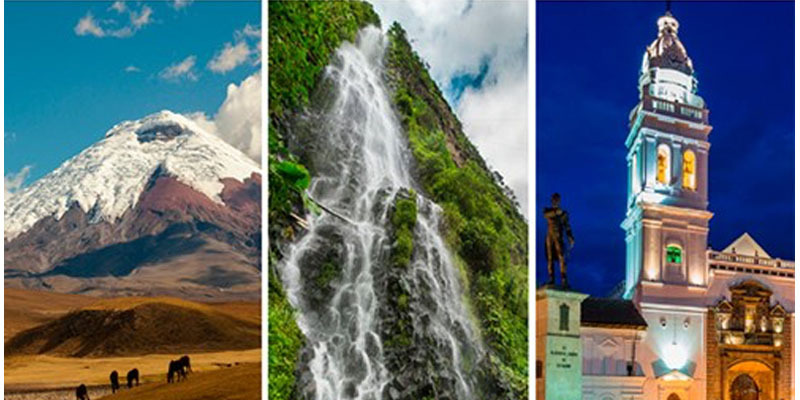 Quito is strategically located in the center of the country with easy access to surrounding provinces for travel. Friendly people, a neutral Spanish accent and safety compared to other South American countries make it a great study abroad destination. Ecuador is one of the cheapest countries for study abroad and public transportation makes exploring the country relatively easy and cheap, perfect for a student budget.